Fulbright award recipients participating in opportunities at the University of Arizona (UA) are sharing their unique experiences as Fulbright Week at the UA commences. From February 27th through March 3rd, the UA Office of Global Initiatives (OGI), the Graduate College, and the Honors College will host a series of events acknowledging past Fulbright and Fulbright-Hays recipients; presenting workshops, information sessions, and open houses; and informing faculty and students about upcoming Fulbright opportunities. 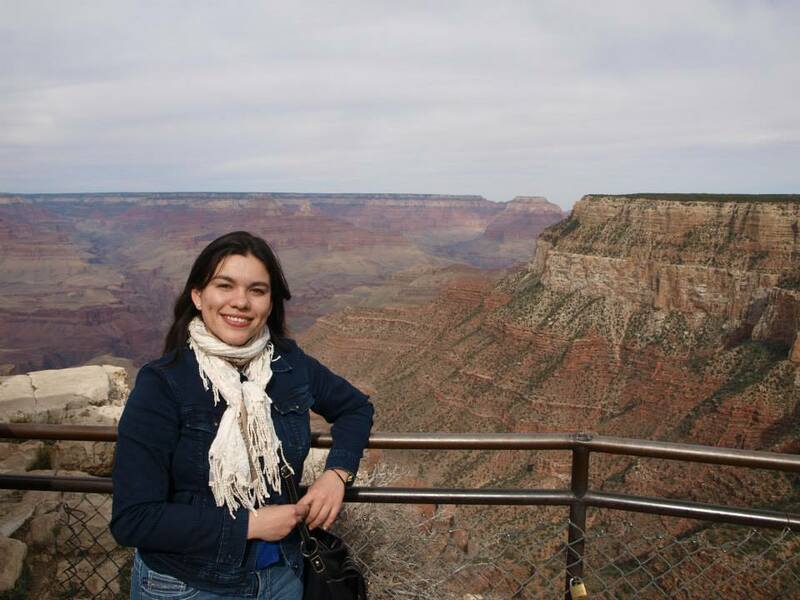 America Lutz-Ley, a postdoctoral scholar at the Udall Center for Studies in Public Policy, was awarded the Fulbright-Garcia Robles Scholarship for Graduate Studies in the U.S. Originally from Mexico, Lutz-Ley studied how people in rural communities adapt to global change, encompassing both climate change and socio-economic globalization factors. “I was inspired by the fact that the world is going through important environmental and socio-economic changes, and these changes disproportionately affect vulnerable populations, such as rural communities and small ranchers and farmers,” said Lutz-Ley. Lutz-Ley took a triple-pronged approach to her research. 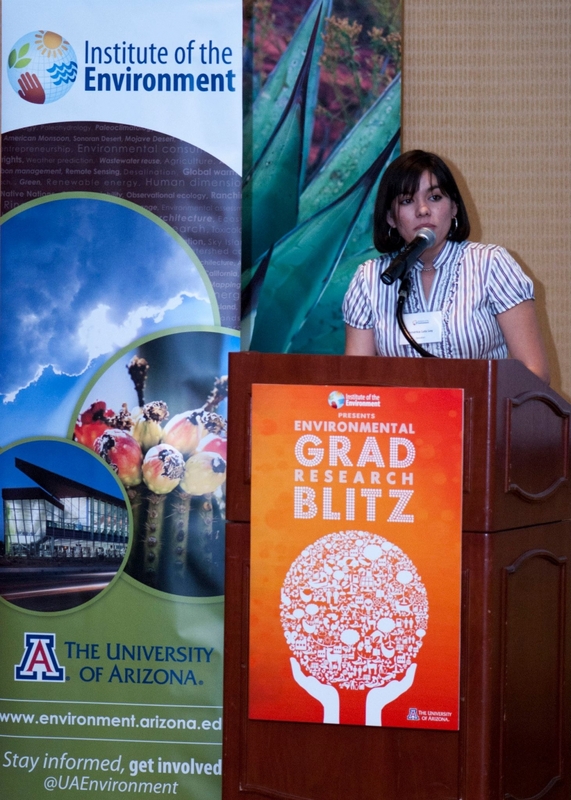 First, she conducted a literature review of rural adaptation strategies in Mexico and the Southwestern U.S. Then she carried out a case-by-case study of climate change perceptions, knowledge, and strategies to adapt in households of three rural communities in an arid watershed of Northwestern Mexico. Finally, she analyzed how the interactions between people and institutions can facilitate or hinder adaptation. In addition to her unique research opportunity, Lutz-Ley says she owes the lens through which she sees the world to the Fulbright program. “One of the most human and humble experiences that I am grateful for is the realization that human beings share basic values of life, love, family, and self-improvement beyond nationalities, religion, and ethnicity,” she said. Yalda Samih Jawad received a Fulbright Foreign Student Program scholarship to pursue a Master’s of Public Administration (MPA) at the UA and plans to open a non-profit organization when she returns to her home country. “Afghanistan is one of the developing countries where there is so much opportunity for growth in every sector and where millions of dollars is spent, but there is still lack of quality services, policies are not feasible and realistic, and there are so many areas that the government cannot efficiently work in,” said Jawad. “Starting my own non-profit organization will empower me to support one of these vulnerable groups that can play an important role in the development of Afghanistan,” she explained. Leslie Toralba-Ubaub, an associate professor at the University of Southeastern Philippines, is a visiting scholar who received the Fulbright-Philippine Agriculture Advanced Research Award. She is studying indigenous Entomopathogenic Nematodes (EPNs), a type of roundworm, collected from pummelo orchards in the Southeastern Philippines. Her goal is to identify the EPNs she collected from agricultural land in the Philippines using classic and molecular techniques, and then create a preliminary list to serve as the basis for future studies. “Ultimately, these EPN isolates will be used as biological control agents against insect pests on pummelo,” said Toralba-Ubaub. She described the importance of the project for her home country in terms of commercial impact, as pummelo is one of the most economically-important fruits in the Philippines. The region where Toralba-Ubaub centered her research produces the largest amount in the country. She was inspired to conduct the research to find an alternative to synthetic chemicals for pest control. She noted that for a long time pummelo production in the Philippines was dependent on these chemicals because of efficiency, affordability and ease of application. She points to the opportunity to work with renowned entomologist Dr. S. Patricia Stock as the highlight of her Fulbright experience at the UA. “In the laboratory, I had the chance to learn new ideas and techniques, as well as work ethics unique to the lab and the people working there. It allowed me to exchange ideas with undergraduate, graduate students, and postdocs alike who are working with different research interests using one particular organism,” said Toralba-Ubaub. "To be mentored by Dr. Stock was an experience of a lifetime. I am excited to go back to the Philippines and apply what I learned to my home institution."